Tuberculosis is a major health threat in many regions of the world. Opportunistic infections in immunocompromised HIV/AIDS patients and multi-drug-resistant bacterial strains have exacerbated the problem, while diagnosing tuberculosis still remains a challenge. When left undiagnosed and thus untreated, mortality rates of patients with tuberculosis are high. Standard diagnostics still rely on methods developed in the last century. They are slow and often unreliable. In an effort to reduce the burden of the disease, this paper presents our automated approach for detecting tuberculosis in conventional posteroanterior chest radiographs. We first extract the lung region using a graph cut segmentation method. 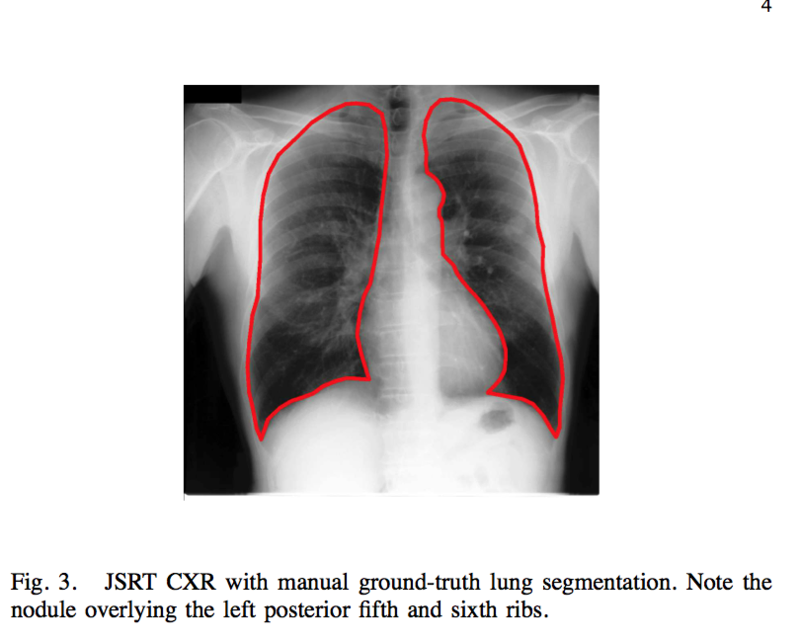 For this lung region, we compute a set of texture and shape features, which enable the x-rays to be classified as normal or abnormal using a binary classifier. We measure the performance of our system on two datasets: a set collected by the tuberculosis control program of our local county?s health department in the United States, and a set collected by Shenzhen Hospital, China. The proposed computer-aided diagnostic system for TB screening, which is ready for field deployment, achieves a performance that approaches the performance of human experts. We achieve an area under the ROC curve (AUC) of 87% (78.3% accuracy) for the first set, and an AUC of 90% (84% accuracy) for the second set. For the first set, we compare our system performance with the performance of radiologists. When trying not to miss any positive cases, radiologists achieve an accuracy of about 82% on this set, and their false positive rate is about half of our system?s rate. S. Jaeger, A. Karargyris, S. Candemir, L. Folio, J. Siegelman, F. Callaghan, Z. Xue, K. Palaniappan, R. Singh, S. Antani, G. Thoma, Y.-X. Wang, P.-X. Lu, and C. J. McDonald. Automatic tuberculosis screening using chest radiographs. IEEE Trans. Medical Imaging, volume 33, issue 2, pages 233-245, 2014.